I’ve used the We on this site, although it’s often just a Me. Starting with my previous work, which you can see on my website: www.lucylyon.com I’ve branched out and grown a tail. Because, I’ve realised that although I often work alone – filming, photographing, writing features and editing media packages myself – I am always reliant on others for my work: from local translators helping translate from Arabic or other languages; fixers for access to the people I interview; and drivers who get me there. And of course the contributors, without whose honest reflections there would be no films. The other reason is that I’m always on the look out for collaboration with fellow camera operators, sound engineers and animators, when I have too much work, or when the projects commissioned are too big for one person. So I’d love to hear from you if you’re interested in working with me. Reading the news we can believe we are different and divided from those in other places, or even at home. And having lived and worked in countries where there are wars and walls – the role of media both inside and outside of the headlines has never been more important. I believe that stories are the basis of human interaction. By telling them, we reflect the beauty, the quirks, the humour and also the sadness of human existence. Stories are a medium for understanding ourselves, those around us, and those further away. Whether I’m in Gaza hearing a young girl like Rozana talk about life since she lost her father in the 2014 conflict; trying to put myself into the shoes of Ayan in The Gate; or chasing swooping, swirling swifts over the Old City of Jerusalem for Tree of Hope – a project with British Sculptor, Mark Coreth, I’m always struck by our inter-connectedness as human beings, and often more surprised by our similarities than our differences. At Lion’s Tail Films our expertise lies in our eye for humanity, our ability to work in complex and sensitive environments, and production of beautifully crafted stories anywhere in the world - a realm where journalism, art and the human story meet. 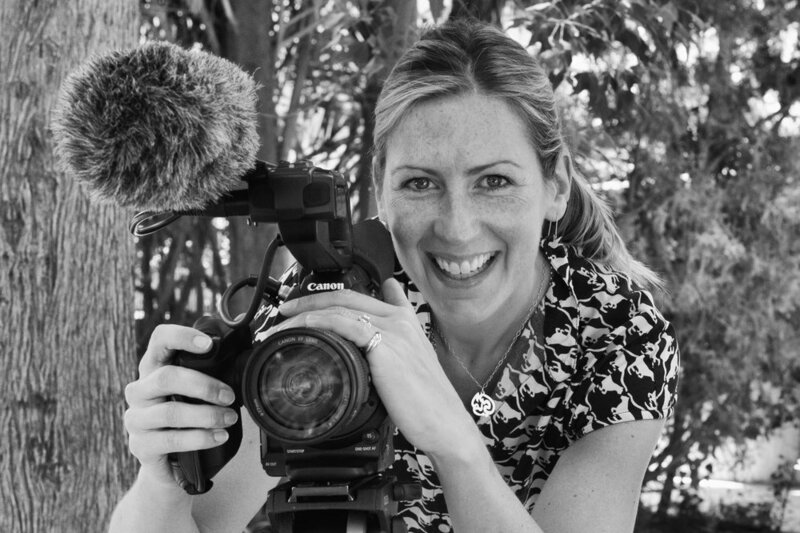 Lucy Lyon has been St John Eye Hospital’s go to film-maker for several years. She delivers succinct, emotional and high-impact films, faithful to the project briefs, which have enabled us to raise thousands towards our sight-saving work over the years. Not only is she extremely talented she is also a joy to work with, and a true people person which is essential when gathering patient stories.